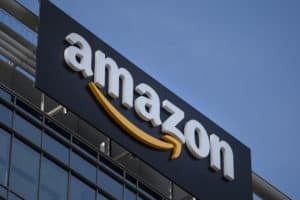 Amazon plans to unveil the site of its second North American headquarters, commonly known as HQ2, by the end of this year. After receiving 238 separate bids, the company in January shortlisted 19 cities in the US and one in Canada. With a little over two months left in the year, interested parties are placing their bets on which city Amazon will pick. Real-estate investors are buying up property in cities they think are likely to land the new headquarters, the Wall Street Journal reported (paywall) on Oct. 22. Speculators are particularly keen on the greater Washington DC metro area, which has three separate sites on the shortlist (Montgomery County, Northern Virginia, and DC proper). One real-estate portfolio manager told the Journal his firm has bought up shares in JBG Smith Properties, a real-estate investment trust that owns a significant amount of commercial real estate in Crystal City, Virginia. Analysts at Citi also reportedly said most investors they spoke with expected HQ2 to land in the Washington metro area. Other bets are being placed online. Betting forum Bovada put Northern Virginia in the lead, followed by Washington DC and then Austin, Texas, according to a ranking it released in late August. Miami, Los Angeles, and Newark, New Jersey, had the longest odds. Others, like Bryan Copley, co-founder of a real-estate startup in Seattle, are biding their time. Copley told the Journal he is raising a $100 million fund that will buy up residential property in whatever city Amazon chooses. He said his company’s proprietary software will let him pick the most underutilized properties in any city within minutes—once Amazon makes its pick.